You have in your hands a story of 22 years of effort to understand the cause of 'voices' and the search to find an effective treatment. Written like a detective mystery, you'll read about our successes - and our failures - as we slowly solved this baffling and heartbreaking problem. Filled with unexpected twists and turns, we eventually discovered that the underlying cause of all these symptoms is a common fungal infection located inside the cells themselves. 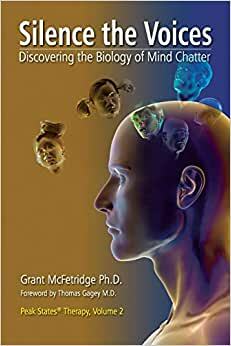 Dr. Grant McFetridge is the founder of the Institute for the Study of Peak States. He is a pioneer in the field of prenatal and trauma psychology, and the developer of the Whole-Hearted Healing regression technique.